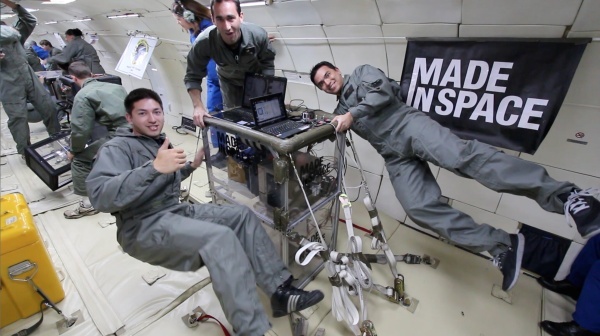 NASA has successfully 3D printed object in space aboard the International Space Station. The 3D printer printed a part of the printer itself – a faceplate that has the logo of Made In Space engraved on it along with NASA’s logo. The object was completed on November 24, 2014 at 9:28 pm GMT. The 3D printer was installed on the ISS on November 17, 2014 and the installation process was being led by NASA scientist Barry Wilmore. Printing in space is not possible with a regular printer since there is no gravitational force in space. Hence, a special printer was required to be made that can work in microgravity. The whole aim of this is to reduce the amount of shipping of tools and other equipment from Earth to the International Space Station. To sustain itself in space, the ISS requires to regularly change old parts. The entire process of shipping parts after producing them on Earth is quite tedious and expensive. This is where Made In Space stepped in and came up with an alternate. The tools that are produced in space will be sent back to Earth to check them with the the same tools that are printed with a 3D printer on Earth.